How Far is Oorjita Istana Villas? Oorjita Istana is the residential developments of Oorjita Projects. 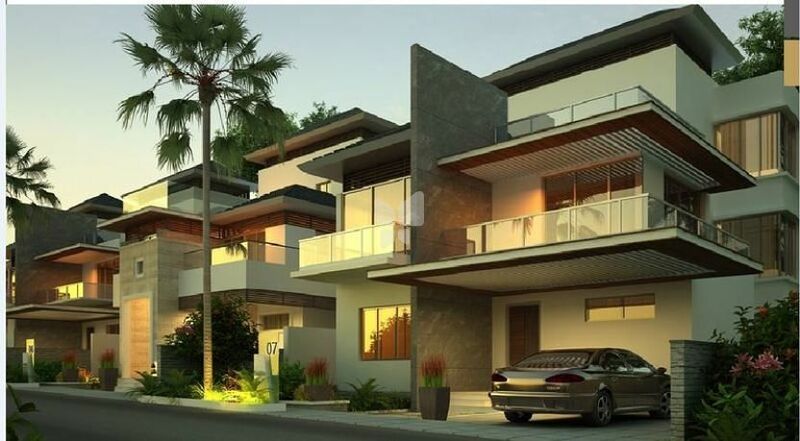 It offers 3BHK villas. The project is well equipped with the basic amenities and 24 x 7 security service to facilitate the needs of the residents. RCC Framed structure with Concrete Cement block walls and cement plastering. All Surfaces finished with Luppum / putty and painted with emulsion paint. Weather proof texture paint with premium brand. Imported Marble for all Drawing, Living. Laminated wooded flooring for Bedrooms. Ceramic/Imported Marble for all kitchen. Anti-skid ceramic tile flooring for all Toilets. Teak Wood door frame, designer door shutter with melamine polish on both sides. Brass/Ss hardware with night latch, safety chain of superior brands like Doorset or eqivalent. Teak wood frame with flush shutters finished with self veneer finished on both sides. Anodized aluminum / UPVC, Openable / sliding French Doors, windows with shutters. Concealed copper wiring with Flame Retardant Low Smoke (FRLC), PVC insulated wires of superior range like Legrand/Havells or equivalent, Modular Switches of superior brand or equivalent. 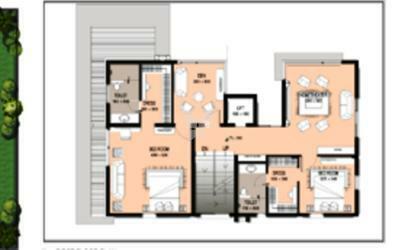 Telephone / TV outlets in all Bedrooms, Living Room, Family Room, Drawing Room. Telephone Point in Master Bedroom and Drawing Room with parallel connection. Direct to Home facility for TV, Electrical provision for Air-Conditioning for all drawing & Bedrooms. Plumbing Ceramic Ware of superior brands like Kohler or equivalent except maid’s bathroom. CP fittings of superior brands like Kohler or equivalent in bathrooms and Kitchen except maid’s bathrooms. 100% backup in each Villa. Intercom Facility from each villa to Security Room, Club House, Servant Room and Other Villas. RAK Tiles or equivalent brand. Full height ceramic designer tile dado for all toilets. 2 Feet Height designer tile dado above platform for Kitchen.